Success is not the easiest thing in the world.There is a reason why many are not creating the kind of success in their personal, work or business that generates the financial freedom and the quality of life they aspire to. We all have the ability to achieve our dreams – yet most of us achieve comfortable mediocrity at best. The ones who do, succeed because they think differently to how most people think. Success is achievable provided you do not follow the 99% down the path of mediocrity rather than modelling what creates success. 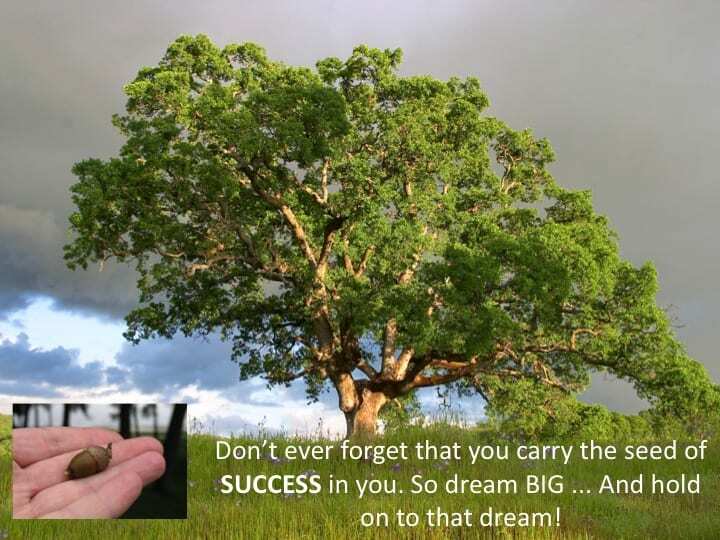 We believe that every person carries the seed of success in them. You have a unique gift and talent inside of you that can change the world. The biggest risk to your success is not the state of the economy, the banks, the marketplace, the government or even your competition. The biggest risk to YOUR success is thinking like most people think.. YOUR success and the quality of life that it supports can only reflect the quality of YOUR thinking. Most things, including life and business mastery, can be learnt. It all starts with you. You can choose to step forward into growth or step backward into the safety of your current position. It is never too late to start. There is no perfect time. Take it from someone who has been there. If you are serious about growing yourself, about doing business. then just start now. You do have to START. Our only advice is DON’T do it alone – do it with a group of like-minded people. It is what you add to your talent that makes the greatest difference. You can have talent alone and fall short of your potential. You can have a very high IQ and still fall short of your potential. Or you can go beyond talent and IQ and REALLY stand out amongst your peers and be the influencer. We are NOT promising you a 6 figure income next week. However, we do GUARANTEE you that our programs will provide you with all the tools you need to make your skills fly AND it will move you further along on your journey to success and significance – provided you are prepared to commit to the work. A Quitter Never Wins! And A Winner Never Quits!